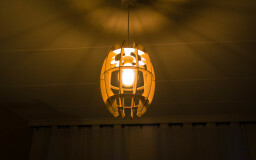 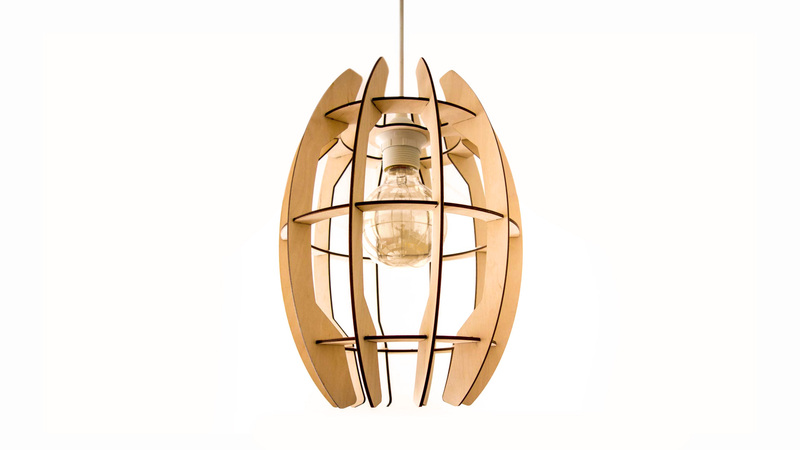 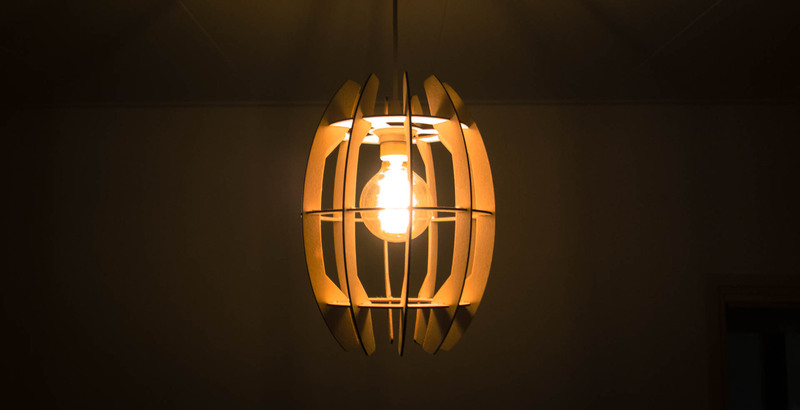 This lamp shade was created using laser cut birch multiplex. 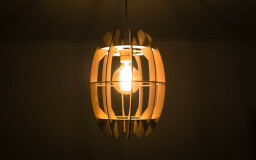 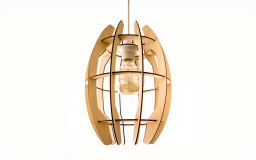 The idea behind the design was to create a “shape within a shape” using the negative space create around the light bulb. 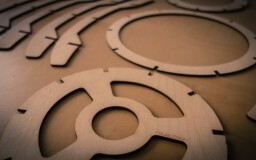 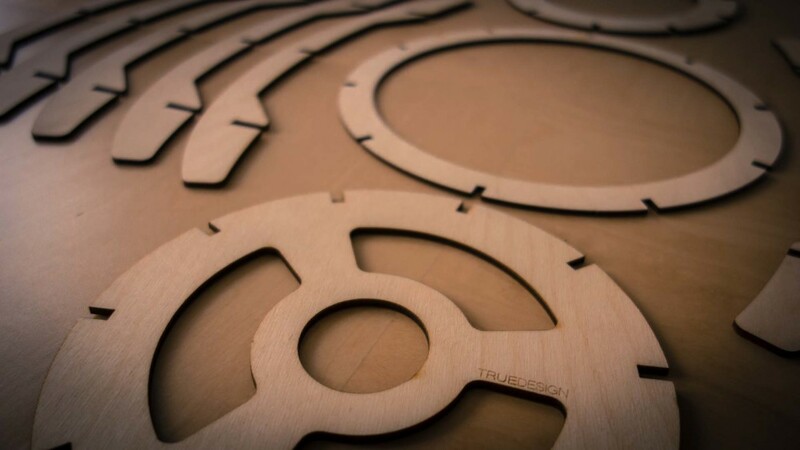 The laser cutting process creates a unique contrast between the birch surface and the burned dark edges, further accentuating the shape’s outlines. 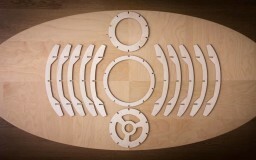 Because it was designed using interlocking parts, it can be put together without the use of any fasteners. 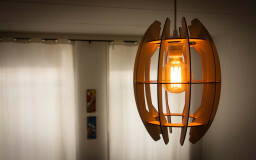 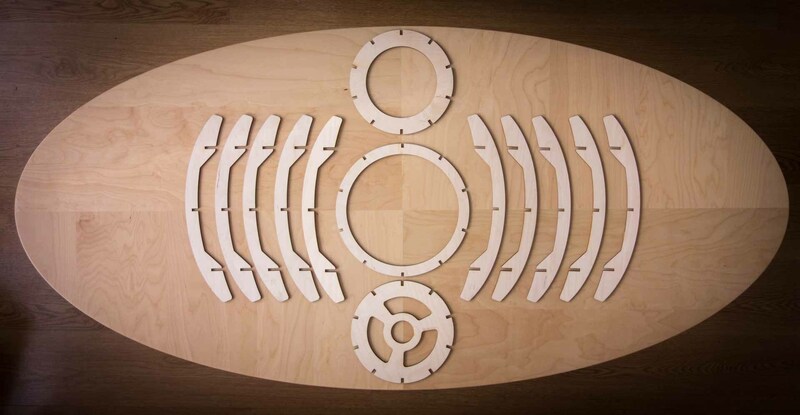 It also contains a cut-out which was designed to fit on 40 mm diameter lamp fittings. 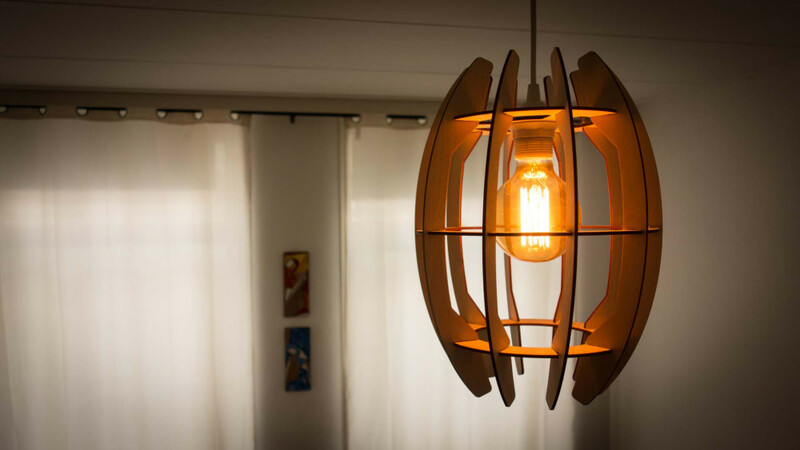 If you are interested in purchasing this lamp shade, or having a custom laser cut lamp shade made specifically for you, please feel free to contact me.